What Do Loan Processors Do? I’ve already covered the mortgage underwriter’s role, so let’s take a look at what “loan processors” do seeing that they’re also key to getting your loan closed in a timely fashion. Once a loan is originated by the mortgage broker or loan officer, the corresponding paperwork is sent along to a loan processor. Loan processors don’t just grab the loan file and submit it; they double-check everything like debt-to-income ratios and employment information to ensure the file will actually be approved. For this reason, they play a critical role in the loan approval process, as mistakes made by the loan originator could be caught and corrected before the file lands in the unforgiving hands of an underwriter. After all, once it gets to the underwriter there’s no going back. Sure, you can fix some things, but not without a lot of red tape. Assuming the loan is approved, the processor will receive a list of prior-to-document conditions (PTDs) that must be met before loan documents are released by the bank. It is the processor’s job to work with the loan originator, title and escrow companies, and various others to get all the necessary paperwork to fulfill those conditions; and things can get very complicated in no time at all. That sold part is pretty important because loan processors aren’t supposed to offer or negotiate mortgage rates or loan terms. Their role is to assist the originator, whose job it is to sell the rate/product, and organize the loan file. However, some processors are actually more knowledgeable than the more sales-oriented loan officers because they handle more volume and may have more years of mortgage experience under their belt. If the loan is originated via the wholesale channel (mortgage broker), there are essentially two loan processors working together on the file. One who works on behalf of the mortgage broker and one that works at the bank, typically referred to as an Account Manager (AM). The loan processor who works with the broker will essentially send conditions to the AM that works at the bank so they can be signed off. If the loan is originated via the retail channel, the AM will work with the loan officer at the bank to get the conditions cleared. Loan processors may also act as liaisons between the broker/loan officer and the underwriter. Do loan processors need to be licensed? Some independent processors might need licenses, but those working for licensed mortgage lenders or under the direction of licensed mortgage originators may be exempt. This can vary from company to company and by state. Do loan processors make commission? They certainly can and often do. It depends how they set up their pay structure with their employer. They may get paid per loan file funded or a base salary AND a bonus for a certain volume of funded loans each month. How much do loan processors make per loan? Again, it depends on the company and perhaps on what their base salary is. If their base is low or nil, they’ll probably make a lot more per loan. The downside is they are then working a performance-based job. Do loan processors work weekends? 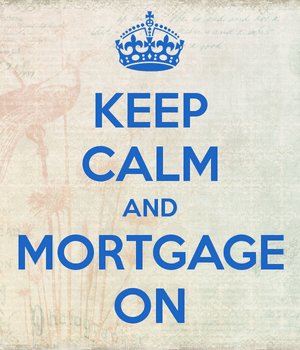 The job might require work on the weekend if a particular lender or broker is busy, or has busy periods. However, many processors just work Monday through Friday like most other bankers. Do loan processors work from home? They can work remotely or from home depending on the preferences of their lender or broker. Or if they’re independent they can run their own home office. What are loan processing fees? These are very real fees for the loan processor’s hard work. As I mentioned, loan processors might do more of the work once the saleswoman (or man) gets you in the door. This fee could be anywhere from $200 to $700 or more. Some may refer to it as a junk fee but only if it’s charged on top of a hefty origination fee. Sometimes the latter includes the processor’s work. As someone who is versed in the industry. Would you be able to recommend a class/training method for someone who is looking to get into mortgage underwriting? thanks in advance. Typically whatever company hires you will have you go through a training course over the course of a few weeks. However, the best way to learn quickly is when you are truly hands-on. Generally you work under a more seasoned individual first, assisting them while learning about the processes involved. I just passed the test. Now, should I apply for Loan Officer or Processor. Which one is of “new comer”? And how do you get paid commission as realtor? Please help. 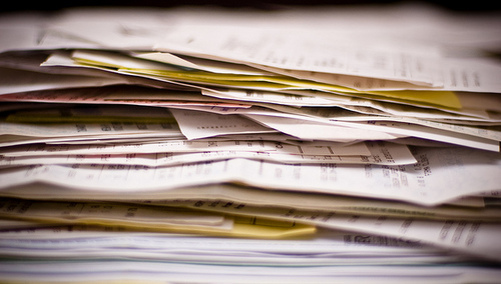 A loan processor deals with lots of paperwork and basically assists the loan officer in closing the loan. Conversely, both loan officer and real estate agent jobs are sales job that require selling and finding clients. So it depends where you personality puts you. Real estate agents get a portion of the sales price, say 3%, but have to give some of it their listing brokerage. LOs also get paid commission for closing loans and processors may get an hourly and also bonuses for closings lots of loans each month. Found a job posting for “Mortgage Loan Processor Trainee” and mentions no real estate experience needed. They only really require you have a high school diploma. Is this position really something one can pick up without any mortgage/real estate experience? You can learn pretty quick on the job, like most jobs. You’d probably shadow someone experienced and help them out with basics (doing as they say, getting them X paperwork, etc.) and learn along the way. I am a real estate agent that is thinking about becoming a Mortgage Loan Originator. I work with a brokerage that does strictly real estate no loans. Can I work both in my real estate office and for a mortgage broker? Best to check your state licensing rules and speak with your company assuming you are sharing these details with them. Hi. Am trying to get my mortgage license and I also wanted to know what is the different between mortgage license and mortgage processor. Can I work independently or can I work with a company ie: bank, real estate or mortgage company and how do I start. You may need to check the requirements for the state you live in and the company you plan to work for. I’m a licensed loan originator and want to only process loans for the brokerage company where I’m at currently. If I work for the broker as a contract processor and receive a 1099 do I need to have my own company? Will the broker have to pay me from his origination fee or can it be charged separately? What if I don’t receive a 1099, will I need a company? Any help would be greatly appreciated. Not really my field of expertise, perhaps someone else can chime in. Hi, I have on going trainee for the position of Loans processor at the bank here in my country. if I start as a loans processor would there be chances that i’ll be paying for penalties? about my work if ever there are problems. I doubt it, but then again I don’t know what the work contract stipulates. Typically companies are on the hook for mistakes their employees make, assuming they aren’t intentional and illegal. What is the difference between Loan Assistant and Loan Processor? You don’t need a license to become a loan processor. The license you possess is probably for a Loan Originator. Being a Loan Processor, LO, or RE Agent are 3 different jobs and I’m sure you’ve figured it out by now since you question was dated 2015. As a loan processor you have to be very OCD and meticulous on everything from loan opening to loan closing.